We have many options to fit your Traditional Music entertainment needs. Patty McCollom has been in bands for many years. She has toured with various groups to Hungary and Croatia and performed at festivals in Tennessee, Virginia, North Carolina, Texas and Iowa. She has performed at Silver Dollar City in Branson, Missouri and at the historic Carter Fold in Virginia. Each year, Patty performs at the Museum of Appalachia in Norris, Tennessee with the band, Lilies of the West. 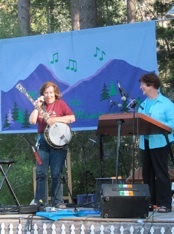 She plays banjo, tinwhistle, fiddle, bodhran, and sings with Legacy. 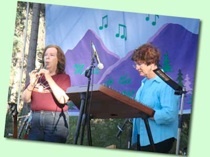 Barbara Gershman plays the hammered dulcimer and accordion for Legacy and is a founding member of the band, Dulcimania, a Celtic trio. 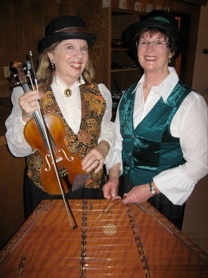 She also plays with the hammered dulcimer duo, Better Than One, that performs Renaissance, Holiday and Celtic music at weddings, parties, Chapman University’s annual Wassail, and the Koroneburg Old World Festival. She has taught at the California Traditional Music Society's (CTMS) Equinox and Summer Solstice Festivals and performed at the CTMS Summer Solstice Festival and the Southwest Acoustic Music Gathering in Tucson, Arizona. Two musicians with: banjo, pennywhistle, fiddle, bodhran, vocals, hammered dulcimer & accordion, specializing in traditional music.  Programs can be customized to fit most occasions. Sing-alongs and audience participation are part of the fun.